So far, for every grammar we have covered, we also went over all the casual variations as well. However, even though we have already covered all the casual forms, truly mastering casual speech in Japanese requires far more than just learning the various casual forms. There are countless numbers of ways in which wordings and pronunciations change as well as differences between male and female speech. Understanding slang also requires knowing various vocabulary that is also growing with every new generation. Many adults would be hard-pressed to understand the kind of slang being used by kids today. 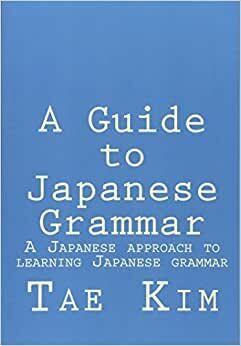 While comprehensively covering slang and relevant vocabulary would require a book in and of itself (a book that would soon become out of date), I’ll instead cover some broad patterns and common phenomenon which will at least help you get started in understanding the most common aspects of Japanese slang. There is no particular order in the material presented here and I expect this page to grow continuously as I find different things to cover. Please note that slang is also heavily influenced by local dialects. Although all the material presented here is valid for the greater Tokyo area, your mileage may vary depending on where you are located. In the world of slang, anything goes and rules that apply to written Japanese are often broken. The most difficult part is that, of course, you can’t just say whatever you want. When you break the rules, you have to break it the correct way. Taking what you learned from textbooks or Japanese classes and applying it to the real world is not so easy because it is impossible to teach all the possible ways things can get jumbled up in the spoken language. Learning how to speak naturally with all the correct idiosyncrasies and inconsistencies in a language is something that requires practice with real people in real-world situations. In this section, we’ll look at some common patterns and themes that will at least help you get an idea of where the majority of slang originates from. One thing you’ll soon realize when you first start talking to Japanese people in real life is that many sounds are slurred together. This is especially true for males. The fact is voices in instructional material such as language tapes often exaggerate the pronunciation of each letter in order to make aural comprehension easier. In reality, not all the sounds are pronounced as clearly as it should be and things end up sounding different from how it’s written on paper. There is one major driving factor behind the majority of slang in Japanese. The primary goal of most slang is to make things easier to say. In other words, the goal is to reduce or simplify the movement of your mouth. There are two primary ways in which this is accomplished, 1) By making things shorter or, 2) By slurring the sounds together. We have already seen many examples of the first method such as shortening 「かもしれない」 to 「かも」 or preferring 「と」 to the longer conditional forms. The second method makes things easier to say usually by substituting parts of words with sounds that fit better with the sounds surrounding it or by merging two or more sounds together. For example, the same 「かもしれない」 might be pronounced 「かもしんない」 since 「しん」 requires less movement than 「しれ」. Let’s see some more examples of words that get shortened or slurred. Try saying both versions to get a feel for how the slang saves space and some calories for your mouth. You’ll see that a great deal of slang in Japanese stems from this single principle of making things easier to say. It’s very natural because it’s guided by how your mouth moves. With a fair amount of practice, you should be able to naturally pick up shorter, alternative pronunciations and incorporate them into your own speech. While written Japanese already has fairly loose rules regarding sentence order, casual spoken Japanese takes it one step further. A complete sentence requires a verb at the end of the sentence to complete the thought. However, we’ll see how this rule is bent in casual conversations. Conversations are sporadic and chaotic in any language and it’s common for people to say the first thing that pops into their head without thinking out the whole proper sentence. For example, if you wanted to ask what something was, the normal, proper way would be to ask, 「それは何？」 However, if the first thing that popped into your head, “What the?” then it would be more natural to say 「何」 first. However, since 「何はそれ？」 doesn’t make any sense (Is what that? ), you can simply break it up into what are essentially two sentence fragments asking “what” first （何？）, and then following it up with the explanation of what you were talking about （「それ」 in this case）. For the sake of convenience, this is lumped into what looks like one sentence. Sometimes, the first thing that pops into your head might be main verb. But if the main verb has already slipped out of your mouth, you’re now left with the rest of the sentence without a verb to complete the thought. In conversational Japanese, it’s perfectly acceptable to have the verb come first using the same technique we just saw by breaking them into two sentences. The second sentence is incomplete of course, but that kind of thing is common in the speech of any language. Did you see? That guy? You ate it already? The ice cream I bought yesterday. 「じゃん」 is an abbreviation of 「じゃない」, the negative conjugation for nouns and na-adjectives. However, this only applies to 「じゃない」 used in the following fashion. Because he’s a salaryman, doesn’t he do a lot of overtime? The important thing to note about the example above is that 「じゃない」 here is actually confirming the positive. In fact, a closer translation is, “Because he’s a salaryman, he probably does a lot of overtime.” But it’s still a question so there’s a slight nuance that you are seeking confirmation even though you are relatively sure. 「じゃん」 is a shorter slang for expressing the same type of thing except it doesn’t even bother to ask a question to confirm. It’s completely affirmative in tone. In fact, the closest equivalent to 「じゃん」 is 「じゃない」 used in the following fashion. Well, it’s probably fine (don’t you think?). This type of expression is the only case where you can attach 「じゃない」 directly to i-adjectives and verbs. Once you actually hear this expression in real life, you’ll see that it has a distinct pronunciation that is different from simply using the negative. Plus, you have to realize that this type of 「じゃない」 sounds rather mature and feminine, unlike 「じゃん」, which is gender-neutral. Like the above, specialized use of 「じゃない」, you can also attach 「じゃん」 directly to verbs and i-adjectives as well as the usual nouns and na-adjectives. Because slang is usually created to make things easier, it’s not surprising that the rules for using 「じゃん」 are so lax and easy. Though derived from 「じゃない」, 「じゃん」 is always used to confirm the positive. It can be attached to the end of any sentence regardless of whether it ends in a noun, adjective, verb, or adverb. See, as I thought, you have to write the report. Since there’s nobody, it’s probably fine to change here. A: Ah! See, he is here! There’s also another variation, which attaches the question marker as well. The meaning is mostly the same but it adds more to the questioning, confirming tone. A: There’s a karaoke place near the station, right? A: It’s right next to there. As we learned in the defining and describing section, 「いう」 serves many more functions than the equivalent English verb, “to say”. It is used all the time and therefore, it’s not too surprising that a number of variations and slang have developed. Here’s one more that I felt was too “slangy” to cover so early at that point of the guide. This may sound hard to believe but if you really slur 「という」 together, it becomes something resembling 「つ」. Or least, that’s what somebody thought when he or she began replacing 「という」 with 「つ」 or in some case 「つう」. Now, in my opinion, 「つ」 is a lot harder to say than 「という」 so using it like a native might take a bit of practice. Rather than making things easier to say, as is usually the case, the real purpose of this substitution is to sound rougher because 「つ」 has a harder, hissing sound. This is ideal for when you’re pissed or for that young and rough image you’ve always wanted. As you might expect, this type of speech is usually used by males or very tough females. Or rather, why are you here?! Although he’s saying he doesn’t have time due to homework, I heard he went on a date with Miki-chan. Yo, tomorrow’s the test. Even if I say that, you probably didn’t study anyway, huh? Like I said, you’re wrong! If you want even more emphasis, you can even add a small 「つ」. This usually means you are really at the brink of your patience. 「ってば」 and 「ったら」 is yet another type of abbreviation for 「という」 similar to 「って」 as discussed in the defining and describing section. In this case, it’s an abbreviation of the conditional form of 「という」, which is 「といえば」 and 「といったら」. By using this abbreviation, you are essentially saying something along the lines of, “If I told you once, I told you a million times!” You can use this expression when you tired of repeating yourself or when you are exasperated with somebody for not listening to you. I told you I’m going already! By now, you’re probably aware that 「何」 can be either read as 「なに」 or 「なん」 depending on what comes after it such as 「何色」（なにいろ） versus 「何人」（なんにん）. In the case of 「何か」, while 「なにか」 is the correct reading, it is often contracted to just 「なんか」 in casual speech. However, 「なんか」 also has a function similar to the word “like” in English. By “like”, I’m not talking about the actual word but the kind that has no meaning and some people use just about anywhere in the sentence. Similarly, 「なんか」 can also be used as a filler without any actual meaning. For instance, take a look at the example below. I guess he’s like busy today. While 「なんか」 is a shorter version of 「なにか」, only 「なんか」 can be used in this way as a filler. Let’s take a look at a few more examples. Like, baths feel really good, huh? Mom said she’s not coming back until like tomorrow. -Hey like, do you really think that Bob likes somebody like me? 「やがる」 is a verb suffix used to indicate hatred or contempt for the person doing the action. Unlike the rest of the slang covered here, this extremely strong language is not used in normal, everyday conversations. You will probably never hear this expression outside of movies, comic books, games, and the like. However, it is covered here so that you can understand when it is used in those mediums. In order to use 「やがる」, you simply attach it to the stem of the verb. After that, 「やがる」 is conjugated just like a regular u-verb. Losing to a guy like that. Well, what are you going to do? You want to fight? If so, then hurry up and come on!